Just received latest knife. Looks and feels amazing and excited to use it on first canoe trip of the season. This is a hand made from scratch knife. 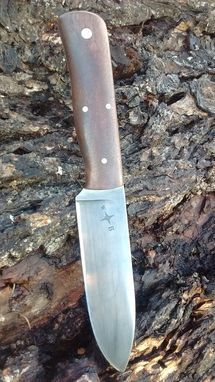 The design is reminiscent of larger trade knives of the mountain man and trapper era of the 1830's. Influence from the legendary Kephart knife can be seen as well. 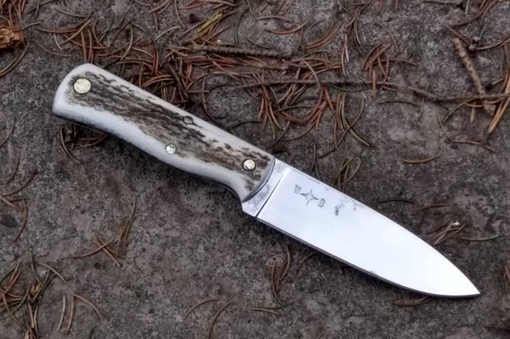 All in all, the Williams Built 'Mountain Bushcraft Knife' is made to sit comfortably in your hand and allow you to take on a wide variety of tasks you'll face in the mountains and wilderness. The 4.5" blade has a flat grind and is made from 1/8" or 5/32" thick O1 tool steel. The steel is carefully heat treated in house to achieve excellent blade integrity. The Mountain Bushcraft measures right at 9" overall and 1.25" wide. 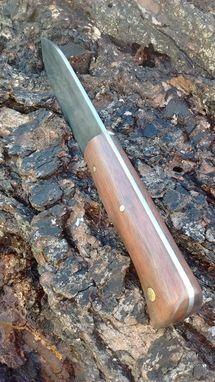 The Mountain Bushcraft is pictured with a natural walnut wood handle which is finished and sealed with linseed oil. The handle is shaped and contoured so that it fits well in the hand and provides a secure grip. The blade is pictured with a light cold-blue finish. 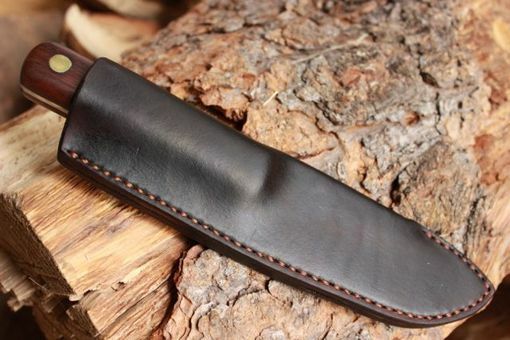 The knife is available without a sheath, or with a hand stitched traditional pouch style sheath. Hands down the most beautiful knife I have ever laid hands on. I highly recommend the wood honey mesquite handle. Thanks Elija! Turned out perfect, great craftsman ship. I ordered the Mountain Bushcraft hunting knife. After I placed the order it took several weeks for the build and then a couple of days for delivery. It was defiantly worth the wait. Everything about it was spot on. As the old saying goes, You can't rush perfection. 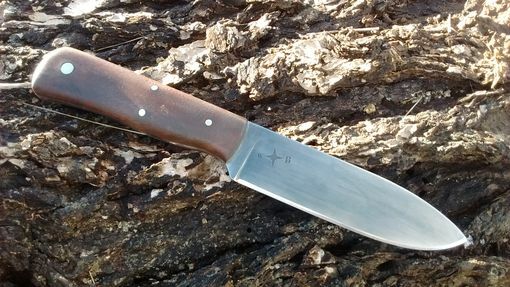 If you have time to wait and want a Great quality knife that will last, I would highly recommend Elijah Williams to build you a knife. I will defiantly be placing another order in the future. Thanks Elijah for such a masterpiece. This is something that I know I will give my son one day and I know he will give it to his.